So instead of the streaming I want to talk about the conference in more general terms. Well, firstly it was an excellent event, all the speakers were great and gave insightful talks with well-constructed arguments. The themes that emerged were around flexibility, agile development and re-thinking (or maybe repackaging) what we do. The pre-decided theme was ‘What Next?’ and I think what we actually got were some very clear answers to this question: times change and so does the way we do things. Working in Higher Education is hugely different now from when I started at the University of Bath 13 years ago, jobs are no longer secure and the need to show impact and return on investment (ROI) is essential. The talks by Paul Boag, Headscape (Institutional Culture Is Crippling Your Web Strategy! ), Martin Hamilton, Loughborough University (The Inside-Out University), Ranjit Sidhu, SiD (9am, 16th August, 2012: “What the fcuk just happened then?”) and Amber Thomas, University of Warwick (Turning our Attention to Supporting Research) in particular backed this up. There were also some interesting discussions around openness in education. Cable Green, Creative Commons gave the opening plenary (Open Education: The Business & Policy Case for OER) and talks on open badges (Doug Belshaw, Mozilla Foundation (Mozilla Open Badges and a Learning Standard for Web Literacy)) and MOOCs (Kyriaki Anagnostopoulou, University of Bath (Et tu MOOC? Massive Online Considerations)) followed. It became apparent that there are some real tensions between Universities increased need to be competitive and the transparency of openness. This is an area I hope to explore more as part of my new role working on LinkedUp, we are planning to set up an open education working group. Ideas around how HEIs can dabble in open data were considered in a parallel session that I ran with my Open Knowledge Foundation colleague, Tony Hirst (Open Up: Open Data in the Public Sector). I’ve written the session up on the LinkedUp blog. The atmosphere of IWMW was very different to usual due to uncertainty around the event’s future. UKOLN has now been reduced down to 6 people and both Brian Kelly and myself have been officially made redundant. I have every faith that Brian will pull the cat out of the bag and make sure the event happens again, the community seem to vehemently support this too. On the last morning we were treated to a talk from Neil Denny, allLD on The Delicious Discomfort Of Not Knowing: How to Lead Effectively Through Uncertainty. Neil isn’t part of the Web community but has worked with people going through change. His message was about how we need to be comfortable with uncertainty and find strategies for surviving at the edge of our comfort zone. We can survive by listening to others and adopting the attitude of an artisan (trying new things). His talk really touched a nerve. All of us from UKOLN are going through big change, but change is good, if you don’t change…you stand still. I have to admit I actually love that point when change can happen and I’ve actively strived towards it. It’s at that point that all possibilities still exist. The three days of IWMW13 was pretty emotionally exhausting. 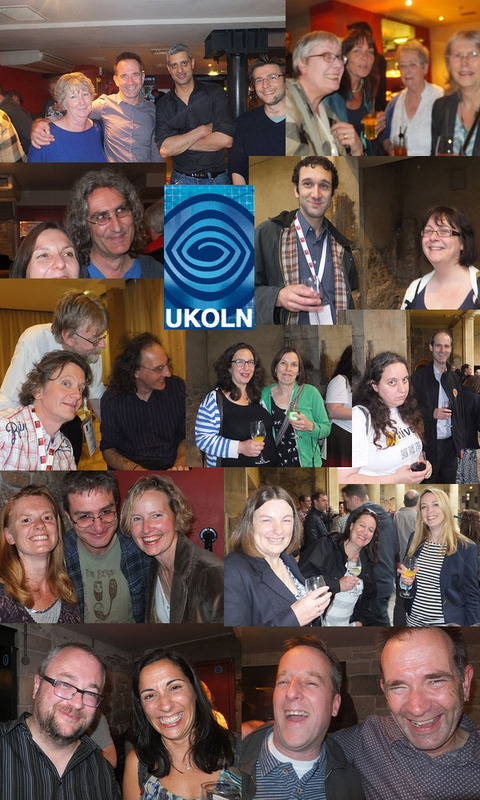 As well as the conference we also had a number of social events including a drinks reception to celebrate UKOLN – or a ‘wake’ as somebody put it :-(. Lots of present and past UKOLNers came along and it was lovely to see people, though also incredibly sad to mark the end of era. I want to end with a few photos of great colleagues and even better friends. Larger versions of these images are available from the UKOLN Flickr site. Apologies to people who were there who haven’t been included in this collage. All resources for IWMW13 have been curated on Brian Kelly’s blog. To carry out this recommendation a task force led by Lynne Brindley, Chief Executive of the British Library, has been established. The task force will be looking at how the UK can be world leaders in distance learning and increase its market share by 2015. This will underpin the best use of digital technology and e-learning for home students, including as a tool for widening access. The task force will be meeting during 2010 and making recommendations to the Higher Education Funding Council for England (HEFCE) and other relevant government agencies, a final report is due out in October. See the task force page on the HEFCE site for more details. It is likely that many of the lessons learnt and technologies examined will have much to offer employees of higher education institutions who choose to work remotely. It is also true that the experiences of those working remotely and in virtual teams may have much to offer those researching distance and e-learning. Last week I attended a Finding Free-to-Use Images Online course at JISC Digital Media (the organisation formerly known as TASI) along with Shirley Keane, our UKOLN Web editor. Our main main motivation for attending was to help us find more images for ourselves (and other UKOLN staff) to use for presentations, blog entries, on UKOLN Web sites etc. I’ve mentioned in the past that here at UKOLN, we are trying to use images in a more constructive way in presentations. I actually ran an internal Presentations Think Tank on this last year. We now have a good selection of resources on our Intranet and would also like to run some internal courses on image use. I guess coming from a user angle we differed slightly from the other attendees who were after images to use for training and as part of their institution’s image store. A few of the attendees were having problems with the Design and Artists Copyright Society (DACs) and the Copyright Licensing Agency (CLA) who were somehow obstructing their creation of an institutional image store of internal slide images. The training was led by Dave Kilbey and Zak Mesah and although not all of it was highly relevant to me there were some really useful pointers and lots of useful discussion. The session began with a exploration into the drawbacks of using general search engines (like Google image search) for finding good quality images. Having used Google image search many a time I felt myself to be already aware of its limitations. However I have to say this task almost had the reverse effect on me. I was actually quite impressed by some of the new search facilities Google has recently added. Searches can now be refined using image size, content type (news, faces, clip art etc) and colour. It is also even easier to remove the annoying frames that used to try to stop users from leaving Google! That said there is a severe lack of up-front copyright information and the images linked to are often of very low quality. I’d also recommend having a look at JISC Digital media’s Advice on Still images and the Intute online tutorial. As well as the image search engines there was also an introduction to some of the JISC Image collections such as SCRAN and AHDS visual arts collection (VADS) (which continues to be maintained despite AHDS closure in 2007). Some of the collections will require your institution to be a member. I actually set myself a challenge for the day. 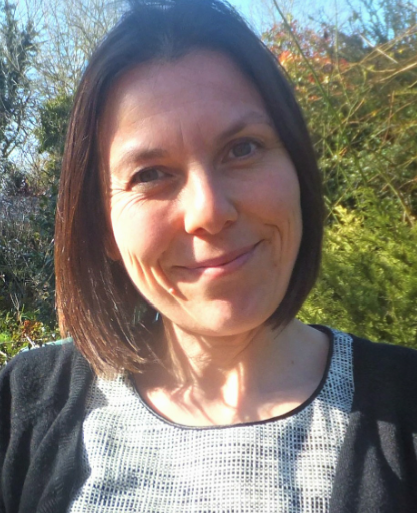 I am co-chair of the Institutional Web Management Workshop (a 3 day event or members of institutional Web management teams in the UK’s higher and further education community). This year the event is taking place in Colchester and our drinks reception is in Colchester Moot Hall. I wanted to source an image of the outside of the building. Throughout the day every lead took me to a dead end. I just couldn’t find anything except a few images on Flickr with ‘all rights reserved’. I’d already emailed the owner of this image and had received no reply. Later in the day I eventually gave in and asked one of the University of Essex staff about it (maybe they could mosey-on-down to the hall and take a quick snap for me?) and they told me that the Moot hall was actually in the Town Hall. A quick search for ‘town hall Colchester’ using the Flickr Advanced search Creative Commons option came up trumps. The photo is now on the Institutional Web Management Workshop social page. It seems that despite the competition Flickr is still the biggest, easiest to use image repository there is. This probably wasn’t what I was expecting. Just before the workshop ended we spent a little time looking at image management software. I have to admit image management was not something I’d thought about before, but it does makes a lot of sense. I take a lot of images of my family and friends, I store many of these on my PC, some on external hard drives and some on CDs. I’m increasingly using these images on my blog and in presentations. I also take quite a few pictures of work related activities. At the moment I’ve tended to upload these to Flickr. I’m a pretty organised person and use some great tools to support my working from home. So why not add some image management software in to the mix. The JISC Digital team recommended Google Picassa but there are a lot of free applications out there. A quick twitter post on this brought back quite a few Picassa supporters and a couple of other possible applications for trying out. I’ll definitely add this to my to do list and my blog post list! I really enjoyed the Finding Free-to-Use Images. The trainers were helpful and more than happy to adapt their programme to take in specific areas people were looking at. Although the day didn’t provide me with one complete answer it did throw up some very helpful resources and confirm that I’d been on the right track all along.